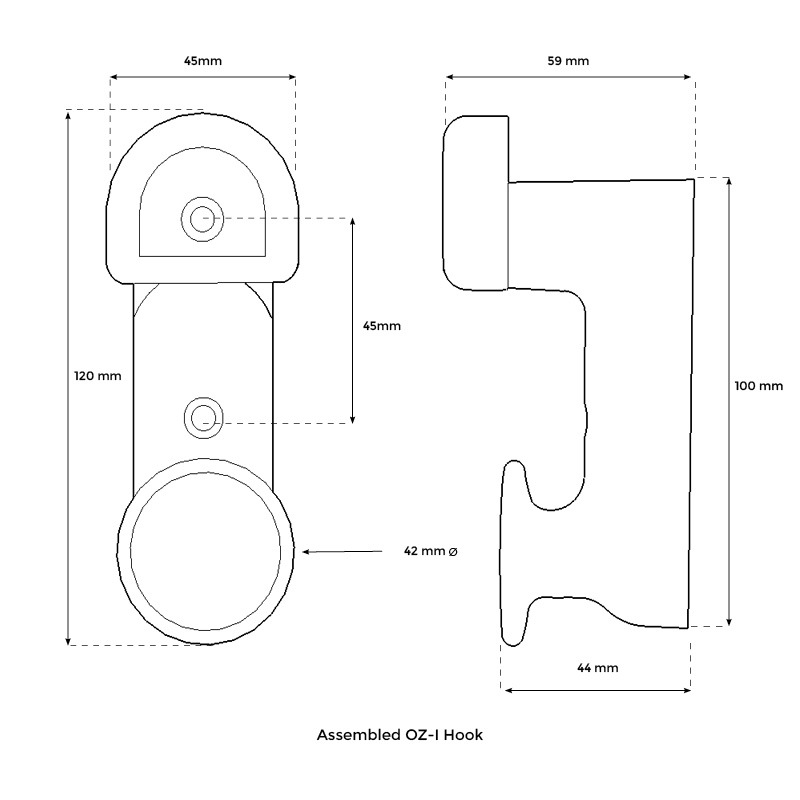 The OZ-I Hook is the latest addition to our OZ-hook range of moulded bag and hat hooks. A compact two position hook that packs a huge amount of strength and stability. 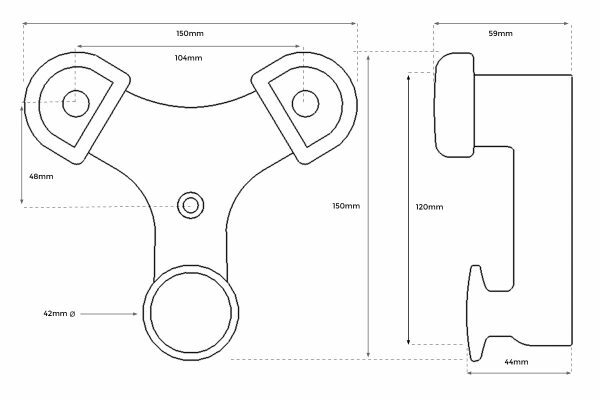 Tested in house the OZ-I hook is capable of supporting 150kg without failure. Moulded from UV stabilsed co-polymer polypropylene OZ-I hooks can be mounted indoors or outdoors and are manufactured from material’s tried and proven to stand the test of time. Easy to clean, a wipe over with soapy water is all it takes. 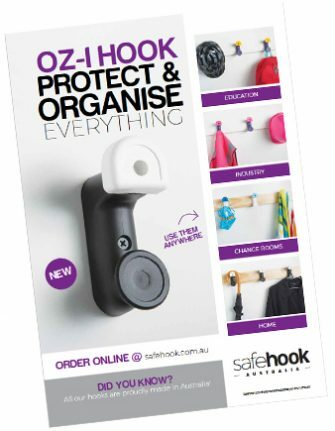 Just like our OZ-Y hooks there are no sharp edges or corners this product is safe, tough, functional, good looking and affordable. Fixings – 2 x 12ga screw’s (length of screw depends on substrate hooks are mounted on; 12ga screws provide max strength alt. 10ga screws are acceptable) Colour coded stainless steel screw kits now available. 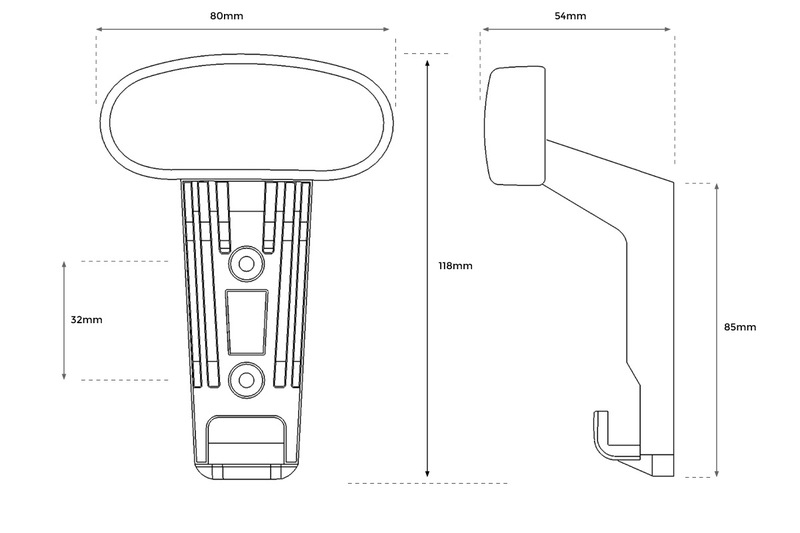 The OZ-Y Hook is an injection moulded bag & hat hook designed and manufactured in Australia. 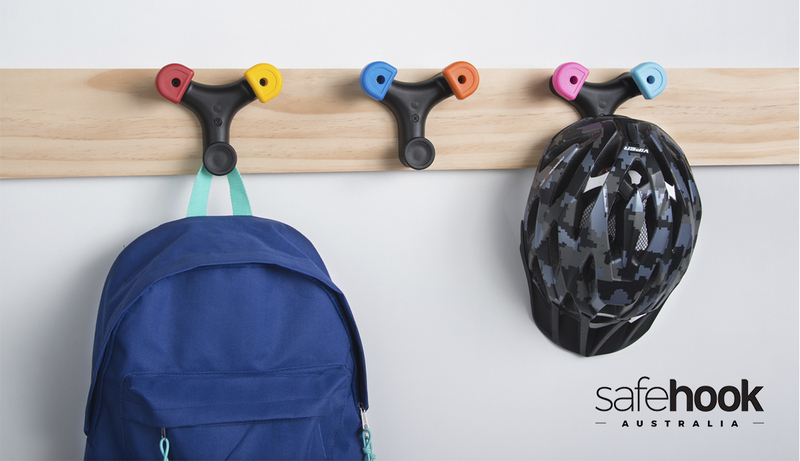 The OZ-Y Hook’s patented three arm design adds to the products functionality providing three hanging points, enough to organise all your gear. With no sharp edges or corners this product is safe, tough, functional, good looking and affordable. 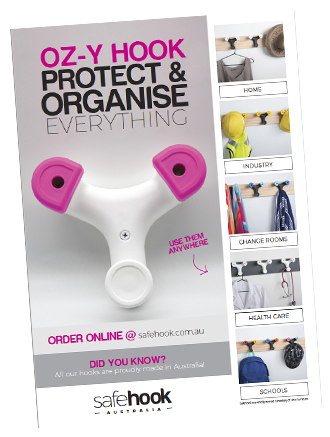 OZ-Y Hooks are revolutionising the way we look at wall storage and are suitable for most environment’s indoors or outdoors, with broad appeal and application across many different markets; school’s, office’s, industry, hospitality, healthcare, age care, clubs, sporting facilities, in amenity blocks, change rooms etc etc. Fixings – 3 x 12ga screw’s (length of screw depends on substrate hooks are mounted on; 12ga screws provide max strength alt. 10ga screws are acceptable) Colour coded stainless steel screw kits now available. Easy to install, cost eﬀective, and safe. 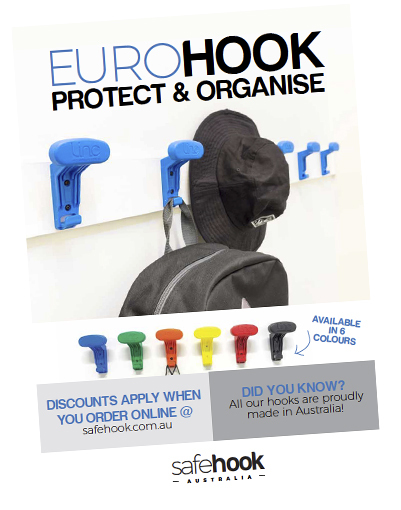 Euro hooks are available in a range of colours that are suitable for installaton indoors or out. Easy to clean one piece moulded Polypropylene constructon, Euro Hooks provide a great alternatve to bag racks or lockers.